Ladies, I have to tell you, I had a great weekend. I was lucky enough to get to meet about a dozen of our wonderful Atlanta-area (and beyond!) Purse Forum members this past Sunday, and I couldn’t ask for a group of nicer, more awesome handbag-loving ladies. 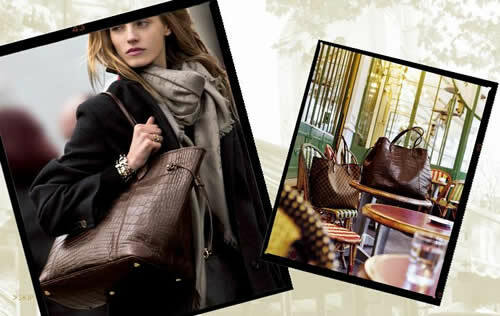 We all had a wonderful lunch, and then a few of us ventured over to Saks for some shopping (or, in my case, drooling – I left everything but money for lunch at home to stave off temptation), and we hit the jackpot inside the Saks Louis Vuitton boutique. 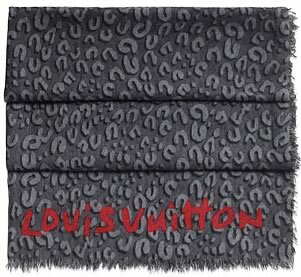 The first rare treasure that I saw was the trend-setting Louis Vuitton Stephen Sprouse leopard print cashmere-silk stole. When I saw this online when it first came out, I couldn’t help but think, “Uh, it’s…just a scarf. Kind of a big scarf, but for $725, I’m going to need miles of scarf.” Well, sometimes, things just don’t show up as glorious online as they do in person, because this thing is beautiful. It’s much wider than the average pashmina, and it lit up my outfit of black empire-waist top and skinny jeans as soon as I wrapped it around my neck. It felt lush and luxurious, like I would happily wrap it around myself every single cold day of the year.